Did a carrier fall off of your spot quote in Freightview? No problem. 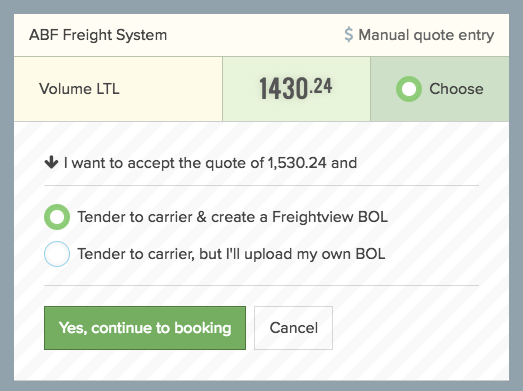 If you’re a Freightview user you may have noticed that we’ve rolled out our Spot Quoting Tool. This tool streamlines your spot quoted shipments and allows you to compare spot quotes to get your negotiated rates as well as gather analytics on these shipments. We know that sometimes a carrier falls off a shipment, or another carrier comes in with a better rate or service level. 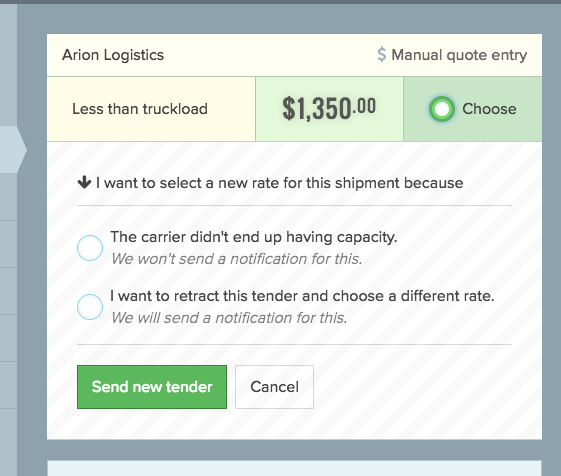 We now give you the ability to change the carrier on a load, after it’s already been tendered. 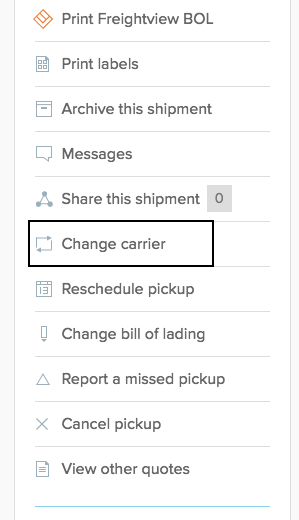 You can make this change by going to the shipment page, and selecting “Change carrier” on the toolbar on the lefthand side. This allows you to notify the carrier, when necessary, that they will no longer be needed for the shipment. Another enhancement we've recently made, is the ability to choose before booking a spot quote whether you want to use our bill of lading or upload your own. You may want to upload your own BOL when using a broker for your shipment. When you choose your rate to initially award a spot quote this box will pop up so you can choose the option best for you. Freightview allows you to quote, book, and tender using negotiated rates and spot quotes all in one spot. Sign up for a free trial today.